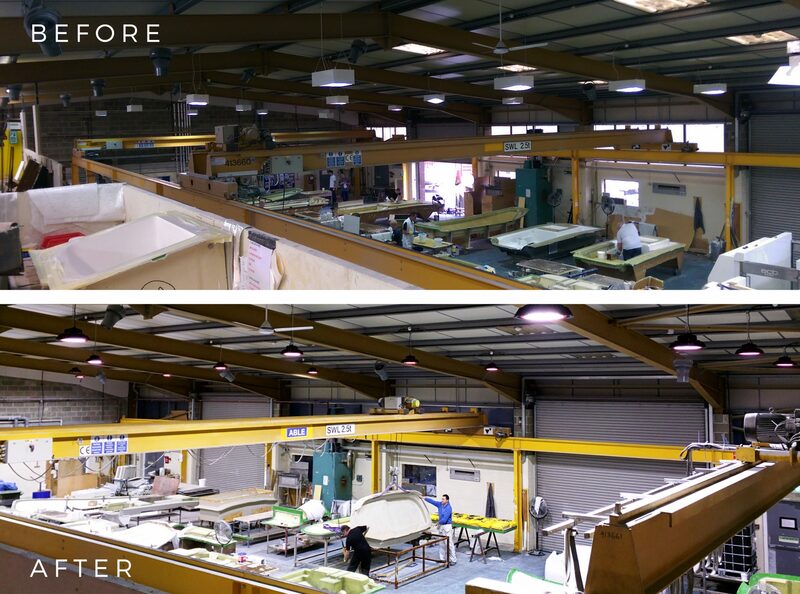 We have completed a low energy, LED lighting project for Norco who manufacture GRP Mouldings and Composite Structures near Wareham in Dorset. Not only has the project created a platform for substantial cost savings and a fast payback on their investment – it has also made dramatic improvements to their working environment. Norco operate in the aerospace, defence communications and marine sectors, and today own all three of their factories located on the Holton Heath Business Park in Dorset. We were invited to carry out a detailed survey of the entire company, a comprehensive process which included light levels at each factory, a review of the various different light fittings adopted over the years – and the required functions of all three facilities. Despite the diverse and dated lighting fixtures across the offices and 3 factory units, we were able to find an LED replacement for each one. They were also able to keep the same number of light fittings and by not adding any new ones it also kept installation costs to a minimum. In each case we replaced high wattage fittings with low wattage LED alternatives, from panel lighting in the offices to box lights supported on chains in the factory, as well as different sized single and twin fluorescent tubes and high impact rated fittings to take into account health and safety. As an example, we replaced 400 watt metal halide low bay fittings with 200 watt LED units. 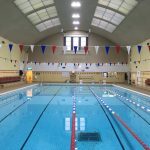 The result – light levels went up and lighting costs came down. Light levels are extremely important to the health and well-being of staff, who in a manufacturing environment may only see natural daylight during break times. Levels are dictated in ‘lux’, a standardised unit of measurement of light intensity per square metre. In one factory alone Led-Zip Lighting increased lux levels from 300 to 1000, creating a lighting simulation to that of real daylight. Following the lighting review of one of the Norco buildings with a five year lighting cost last recorded of £54,094, the predicted LED lighting cost calculation came out at £22,508. This has created a saving of £31,585. The company investment in the factory was £15,214, which will result in a fast 28-month payback.